Looking south along King William Street from the corner of Exchange Street. 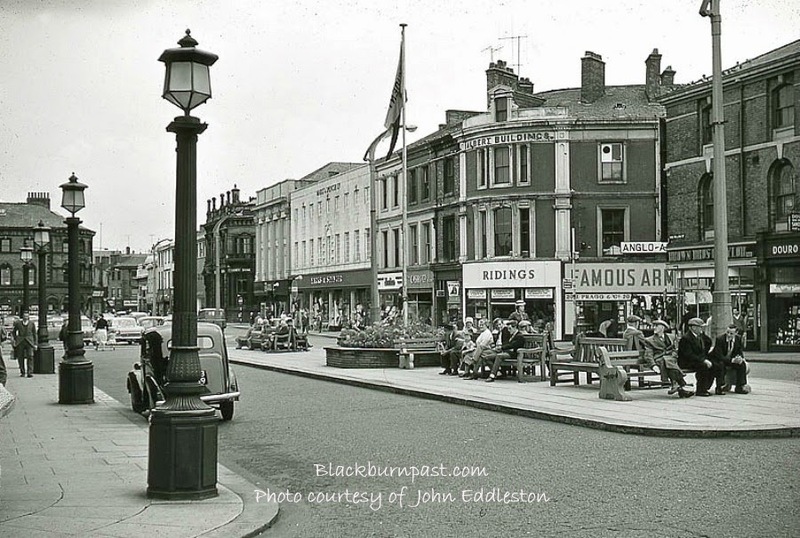 It looks like people have always sat on the benches in that vicinity, mainly pedestrianised now of course. I've sat there on sunny afternoons myself over the decades, just watching the world go by and chatting to friends. Fantastic old lamps along the front of the old Town Hall. great lamps in front of the town hall and those industrial grade concrete and green painted benches, so much more comfortable than those awful under lit benches on king william st today. so comfortable were they that after a long evening out in the queens (just around the corner) on town hall st in the early 70's we'd wind our way home through corporation park. weaving drunkenly from left to right we would eventually retire to one of the aforementioned benches whereupon (bitterly lamenting our failed romances) we'd fall asleep, propping each other up. alas, though such experiences are the essence of youth for two eighteen year old girls to do that these days in corporation park would be distinctly unwise.